To keep your roof in tip-top shape for the long-run, you must be persistent with your maintenance regime. Regular maintenance requires the observation and repair of your tile roofing, shingle roofing, asphalt roofing, metal roofing or flat roofing . It’s best to have your roof inspected every three years at the minimum (of course, if you are experiencing noticeable problems, call a professional roofing contractor right away). Most home and business owners do not have the know-how to conduct roof inspections on their own. 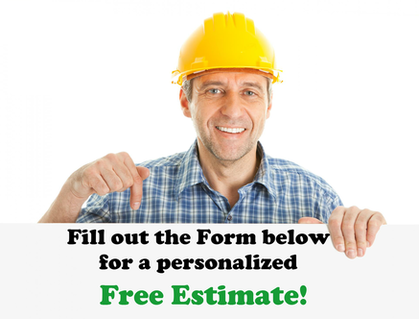 To ensure that all areas of the roof are inspected properly, it’s best to call in a trustworthy roofer. For quality roofing services in Contra Costa County, Alameda County, and the surrounding SF Bay Area communities, call Walnut Creek Roofing Experts today. ﻿﻿​A roof inspection should be put in place to gain a thorough understanding of the overall durability and remaining life of your roof. Regular inspections can also help inform you of any problem areas or weaknesses in your roof before they cause more substantial damage down the road. If nipped in the bud, our roofing professionals can combat these problems before fixes become too costly. At Walnut Creek Roofing Experts, we offer our services to both residential and commercial clients in need of skillful, thorough inspections in the Walnut Creek area. Our knowledgeable and personable staff is glad to answer any questions you may have. During a routine roof inspection, our roofing contractors will glean through a comprehensive checklist. In addition to examining the overall structure of your roof, we also keep an eye out for rot, mold, algae growth, and other signs of deterioration. Some of the most known roofing problems we uncover during inspections include missing or disconnected shingles, ripped or curling shingles, visible holes that result in water damage, sagging materials, and light penetration. If any kind of problem is found, we can then sit down and discuss cost-effective solutions for making any necessary roofing repairs, depending on your budget and schedule. ﻿There are other instances when a roof inspection is a wise move. After a recent rainstorm, for example, is a good time for a thorough inspection. Screaming winds, thick rain, and other extreme weather conditions can consequently result in loose or damaged shingles, tiles, asphalt or metal. If left without inspection and repair, a damaged roof can cause leaks, severe rotting, and other costly repairs. Many property owners also choose to conduct roof inspections to gain a comprehensive understanding of the value and overall condition of the property. For many people in the real estate market, inspections play an integral role in doing their proper due diligence on one of life’s grandest purchases. ​Roof inspections can result in significant monetary savings both short and long term. By undergoing regular roof inspections, you can survey problem areas on your roof early on, preventing small repairs from turning into huge ones. Routine roof inspections can also provide other major advantages, like a priceless peace of mind, and a lower energy bill for your home or business. If it’s been three years or more since your last roof inspection, don’t stall to call a roofing contracting near you that you can trust. If you have any questions, comments, or concerns please don’t hesitate to contact Walnut Creek Roofing Experts at 925-329-3298 or fill out our online form at the top of this page. We cannot wait to hear from you!